In a perfect world, issues of love and commitment would not be tossed around Congress like political footballs. In a perfect world, the It Gets Better Project would not even have to exist, because kids wouldn't get bullied for simply being themselves. In a perfect world, all weekends would look like PrideFest weekend, when members of the LGBT community (plus friends, family and neighbors) get together for two full days (Saturday, June 25, and Sunday, June 26) of fun and celebration in Tower Grove Park (4256 Magnolia Avenue). 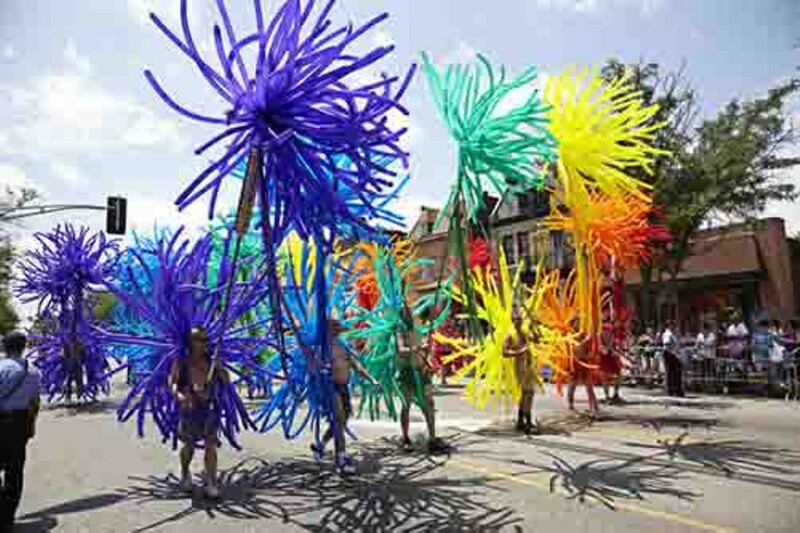 The always-amazing PrideFest Parade, with all of its colorful floats and performers, begins Sunday at noon; marriage-equality advocates and hometown heroes Scott Emanuel and Ed Reggi serve as the parade's grand marshals. But be sure to head down the festival on Saturday, too, to visit the various vendors and witness (or partake in) the 3 p.m. commitment ceremony. The weekend's performers include beloved St. Louis diva Dieta Pepsi and American Idol's Kimberley Locke on Saturday; Sunday brings a can't-miss performance by openly gay country star Chely Wright. For a full schedule and more information about this free celebration, call 314-772-8888 or visit www.pridestl.org. The festival runs from 11 a.m. to 8 p.m. both days.